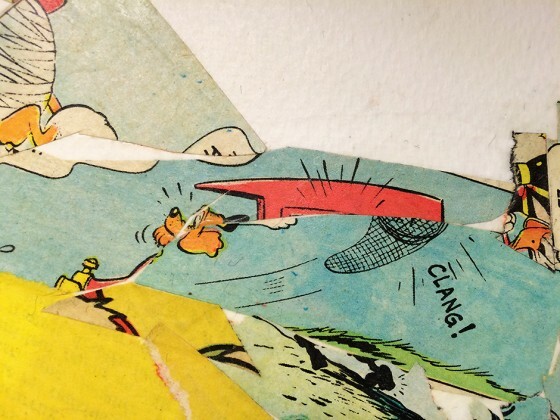 Paris has all kinds of museums, attractions and history, but for me also the booksellers of old and vintage books, comic strips and old maps. 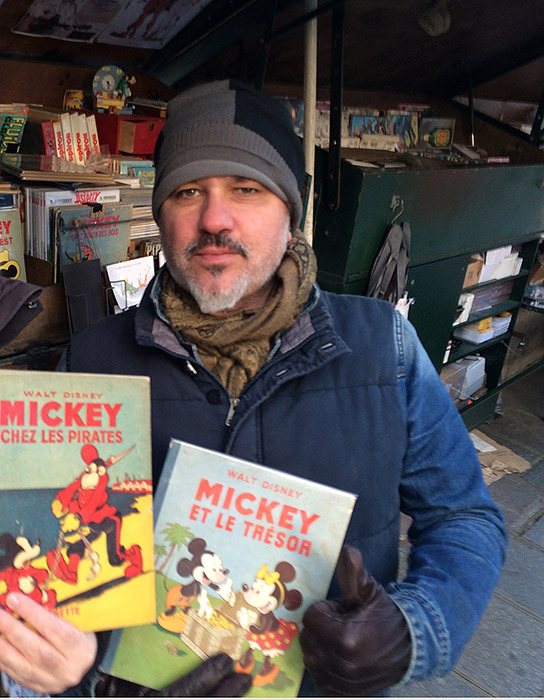 I met Christophe Broutechoux, a traditional bookseller known as the “bouquinistes”; he has a stand in the corner of Pont Neuf, near the Notre Dame cathedral, and is a specialist in the “bande dessinées”, the french word for comic books. 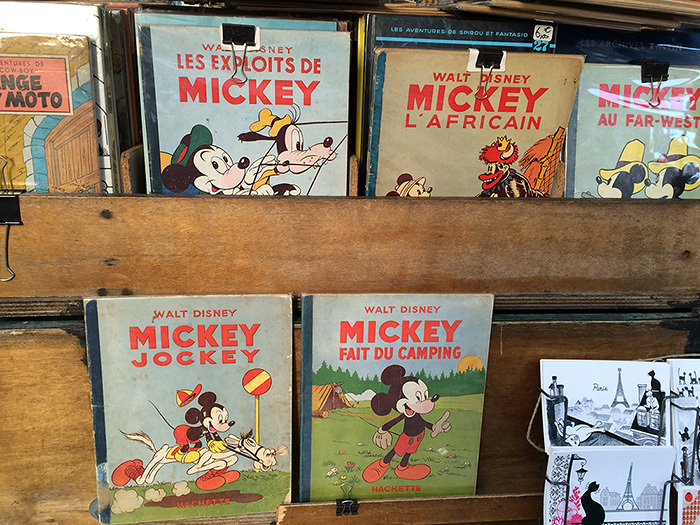 His selection of some vintage MICKEY’s french editions. 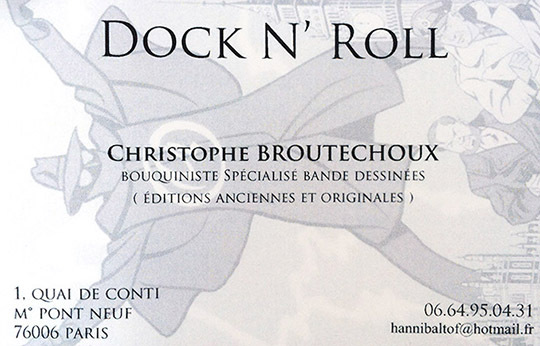 His shop is Dock n’ Roll, and is a pleasure to browse his vintage books and prints!